Showing exactly how effective subtle tones can be, the Echo Collection of rugs celebrates the elegance of its range of patterns, whilst keeping the colourways neutral. Not only does this make these rugs very easy to coordinate with your interior, it allows their patterns to do all the talking. Each Echo Rug has been designed to be hard-wearing and is power loomed with a long-lasting and durable 100% heat-set polypropylene pile. This choice of material offers both stain resistance and a welcome softness to touch. 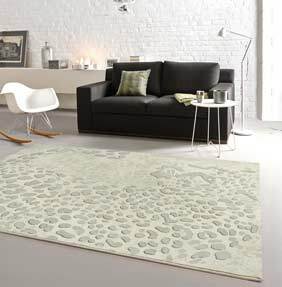 The Echo range of rugs is part of the Easy Living collection by Asiatic Carpets, a collection which offers up everyday designs utilising modern colourways, with practicality in mind.